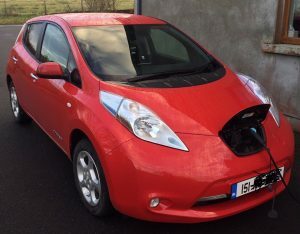 Wayne Gibbons has recently purchased a Nissan Leaf. What let him to buy this model instead of another one ? Read his comprehensive research below. Are you thinking about getting an electric vehicle as your next car? If so, you will probably have a lot of questions (I did!). In this post, I will share what I found out during my time researching, buying and owning a Nissan LEAF. For about two months before I bought my LEAF, I did a lot of thinking about whether it was a good idea or not. I had lots of questions, and I found three sources of answers that were invaluable. 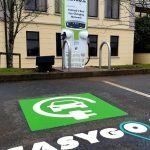 These were the Irish EV Owners Association Facebook Page, the Electric Vehicles & Hybrids forum on Boards.ie, and the Nissan LEAF24 & LEAF30 forum on SpeakEV.com. On each forum I found knowledge and a willingness to share experiences that was second to none. I wish to thank all those EV drivers who were patient and informative in equal measure on these websites. I have compiled the questions that I asked below, with a summary of the responses. Having now bought an EV, some of the answers below are also based on my own (limited) experience with it so far. I hope the information shared here will be useful for anyone thinking about making the move to an EV. The information provided below is an non-exhaustive list of points that you might consider. All the information is provided on the basis that as each car is unique, you should make your decision based on your own requirements and research. I am not positioning myself as an expert, and I certainly do not have “all” the answers. But, what I do have is all the answers to the questions I asked! Ultimately, I recommend that if you decide to buy a used car, you should have it inspected by a main dealer. I did this, at a cost of €80, but it gave me good peace of mind. An over-simplification, but why choose Nissan LEAF over Renault Zoe, or vice versa? There are other options, but given my budget, the choice came down to these two cars. Hyundai Ioniq, BMW i3, Tesla and VW eGolf are all fine cars, but were valued way over what I had to spend. There are pros and cons to every decision, and the Zoe has better range and faster charge time, but I went with the LEAF as it’s a bigger car and it feels more solidly built. For full disclosure, I didn’t drive a Zoe, but I had a good look around one and I just felt it was a bit too small for my needs. At the moment (there is new version coming in spring 2018) there are essentially just two options of LEAF available. These are a 24kWh version and a 30kWh version. Apart from the larger battery, the cars are practically the same in all other regards. The 30kWh version was only introduced in 2016, so anything registered before then will be a 24kWh version. 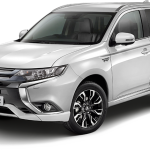 In 2013, the 24kWh version received a better battery and heating system, so pre-2013 cars are to be avoided unless you know for sure you can manage with reduced range. The 24kWh version is still available to buy new, as it is sold alongside the 30kWh one, so you could get a 2016 or 2017 24kWh car: the 30kWh version did not replace the smaller battery version. 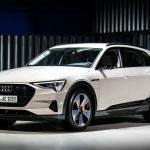 A 30kWh version will give more range, but because it is a more recent model, it will be more expensive to purchase (either new or used). I believe the 30kWh version will charge slightly faster too, but I have not seen that in action myself. 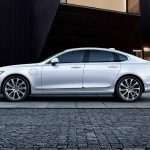 In either case, there are three levels of specification: the base model is called XE (“Visia” in UK), mid level is called SV (“Acenta” in UK), and top level is called SVE (“Tekna” in UK). The base model is very basic, so I would recommend SV at least. The top spec has some nice extras, but the difference between SV and SVE is far smaller than the difference between XE and SV. So, what kind of savings does an EV offer? Well, huge environmental savings in the sense that there are no operational emissions. But of course, it’s financial savings that most people are interested in. Based on a very quick “back of a napkin” approach, an average 1.6 petrol car consuming 6.5litres per 100km at a price per litre of €1.37 (about the cost right now in Galway), would set you back €890 per 10,000km. Conservatively, you should get 100km from a full charge on a 24kWh LEAF, costing in the region of €3 (less if you have a night time rate). So that comes to about €300 per 10,000km. That is a conservative figure in two ways: firstly, you may get more than 100km from a full charge, and secondly, the public charging network is currently free in Ireland (and so you can get at the very least some “top ups” that will reduce the amount of energy put in from your home). In fact, theoretically, you could spend zero on electricity by using just the public charging points. But for the sake of taking the worst case scenario, you will save in the region of at least €590 per 10,000km. I’m doing about 20,000km per year, so almost €1200 saving per year on fuel. Bear in mind the motor tax saving too. I am saving a further €400 per year from that. So, in total, around a €1600 saving. 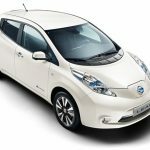 In reality, the saving will be higher, because not all charges will be done at home, and more runaround trips at the weekend will be done in the LEAF, thereby saving fuel costs for the other (petrol) car we have in the family. As time goes by, the savings will no doubt increase, too, as the price for petrol inevitably goes up. What’s the difference between a 3.3kW LEAF and a 6.6kW one? The standard rate of charging built into the LEAF is 3.3kW. To simplify this, think of it this way: if the car can take on 3.3kW and it has a battery capacity of 24kWh, it would take (24 divided by 3.3) 7.5 hours to charge from empty. In practice, it would take a bit longer, as the charging slows down as it nears capacity. This is offset somewhat by the fact that you would almost never be charging from fully empty anyway, but let’s keep the maths simple! If you get a LEAF with an upgraded 6.6kW charger, the charging time is approximately halved. A standard home charging unit would suit a 3.3kW LEAF, so if you go for the upgraded one, make sure you get a more powerful charge point installed at your home to get the benefit of it. If you charge at a public charge point using the normal cable, a 6.6kW LEAF will charge faster than a 3.3kW version. Just so you know, the “normal” cable is not used for what’s referred to as a “fast charge”. Fast charging uses a different socket built into the front of the LEAF. So, even a 3.3kW LEAF can avail of “fast” charging on the public network, but there are far fewer fast chargers out there compared to the slower ones. Bottom line: go for a 6.6kW if you can find one, it will give you a bit more flexibility and peace of mind. How can I tell if the LEAF has the upgraded charger? I believe there is a tag on the motor that says which charger it has, but by far the easiest way to tell is to scroll through the information screens to show the estimated time to full charge. On this screen you will see two times (one for “3kW” and one for “6kW”) if the car has the upgraded charger. You will not see any mention of “6kW” on the screen if the car has the standard charger only. Charge time information screen. Details for 6kW will only appear on a LEAF that has the upgraded charger installed. What is a “granny cable”? The granny cable is a portable cable that has a charger built into it. One end goes into the car, the other end goes into a normal 3-pin domestic electrical socket. This has the advantage that it can be brought anywhere (even your Granny’s house), but it charges much slower than a proper home charging point. Allow about 12 hours to charge from empty using a granny cable. What are the options for a home charging point? It boils down to two charging rates, essentially. There is a 16amp and a 32amp version. The 16amp version costs about €700-800 including installation, and the 32amp about €1000 including installation. If you go for a 6.6kW version of the LEAF, you really need the 32amp version, otherwise you won’t get the benefit of the upgraded charger built into the car. You may find that the charger is included in whatever deal you make with the seller, so the costs indicated above are only relevant if you have to organize a charger yourself. Why are there two sockets under the charging lid? The smaller socket (on the right) is used for the granny cable, home charging unit and public slow charge points. It is this socket that can be 3.3kW or 6.6kW. The larger socket, on the left, is a rapid charging socket. This is used when connecting to a fast charging unit on the public network. Fast charging port on the left, standard charging port on the right. How fast is “fast” charging? It’s claimed that you could get from zero to 80% charge in 30-40 minutes. I’ve not run my car down to zero, so I can’t confirm this. The last time I topped up at a fast charger, the battery level went from 52% to 78% in 12 minutes. That 26% boost equates to almost 30km range given my driving habits. The rate goes down when the battery goes above 80%, so there are diminishing returns above that point. What do I need to charge on the public network? You need to get an RFID card from ESB. This is a contactless card which you use to initiate and end charges on the public network. It is free to get the card, and the charges themselves are also free for now. You need to register your car with the ESB in order to get the card. This is done by emailing them with a scan of a utility bill and the Vehicle Registration Certificate. Once you supply that information (the best way seems to be via email to ecars@esb.ie), you get a welcome pack and the card in the post within a few days. While you’re waiting for your card, you can still use the public chargers by phoning 01 258 3799 and letting them know which charger you’re at (they each have an ID number on them), and the charger can be turned on for you remotely. There is no “one size fits all” answer to this, and although you might get consensus from a number of people that will give you a good guideline, it comes down to how you use the car. Weather conditions (particularly low temperatures and head winds) will decrease range. Rain will also reduce range, as the wipers draw power. But in my experience, the biggest factor is your driving style. It’s the same as in any car: push it hard and your consumption goes up, take it easy and it goes down. I have found that if I drive carefully I could get about 120-130km from a full charge. However, in reality, driving carefully means driving well below the speed limit and that can pose a road danger in itself. Driving it more like a normal car, and being able to enjoy the power of it (while still driving safely of course), I’d be confident of getting 100-110km per full charge. Where you will really get good economy, though, is in heavy and slow moving traffic. You’ll be moving so slowly that you’ll hardly use much energy at all. Having the air conditioning on will reduce range too, but to nowhere near the same extent as driving too fast. Cold pack or no cold pack? The “cold pack” is an optional extra on the mid-spec LEAF and standard on the top-spec LEAF. It has three components: heated seats (front and rear), heated steering wheel and heated mirrors. I would categorise these as “nice but not necessary”. With the top spec model, the seats are leather, and in winter time I can appreciate that pre-heating those might be valuable. However, with cloth seats that is less of an issue in winter. People that have cars with the cold pack seem to like it, though. They say that using the cold pack to pre-heat the parts of your body that are in contact with the car (i.e. bum, back and hands) can reduce the need for heating the cabin. The benefit of this is that the when the space-heating is not in use, you get slightly better range. In practice, I use the heating and air conditioning like I would in any car, putting my own comfort ahead of range. From what I’ve seen on the displays in the car, heating and air conditioning only reduce the range by 5-6km from a full charge. Negligible amounts when balanced against comfort, but they could be essential kilometers if you’re badly stuck for a charge. How does the pre-heat work? Mid and top-spec LEAFs have a facility to pre-heat (or pre-cool in Summer) the cabin before you get into the car. There are two ways to do this. Firstly, you can set up a schedule using the computer in the car by inputting your expected departure time. The car will then start heating the cabin about 15 minutes before that time. This only works if the car is plugged in, and in doing so it takes its energy from the charging point rather than from the car battery. You can have two different schedules set for the various days of the week, so for example you could set it to heat before you leave home in the morning, and again before you leave work in the evening. The second method uses an app on your phone (it also works from a website accessible on a computer). This method turns the heating on even if the car is not plugged in. The heating stays on for about 15 minutes. This method does use the car battery to heat the cabin, and so will have a small impact on range. Carwings is the system that Nissan uses in LEAFs up to 2015 to control and monitor the energy aspects of the car. In its simplest form, Carwings collects data from the car and makes it available for you to view later on (either on a computer or on your smartphone). The app (for iOS in any case) is free and is called “NissanConnect EV”. This data includes information about how energy efficient your driving style is compared to other users. For this to work, the LEAF has a SIM card built into it which communicates with Nissan servers. The connection speed is relatively slow (think 2G), but the service is free. In newer LEAFs (2016 onwards), the system got a name change and a 3G SIM, but it essentially does the same thing. If you buy a used LEAF, the system may still be registered to the previous owner. To get it switched over to your name you can either get the previous owner to de-register (if you can contact them), or get it done by Nissan. I had to get it done by Nissan, and the process is very simple. When you have the Vehicle Registration Certificate in your own name, you send a scan of that and proof of address via email to gb@nissan-services.eu and it can be set up with your details then. Part of setting it up involves you creating an account and entering details into the computer on the car, but the instructions provided by Nissan for all that are very clear and simple. One big advantage of doing this is that you can then use your smartphone to remotely turn on the preheating in your car. What are the different driving modes? As the LEAF is an automatic, essential the “gear shifter” has only got settings for forward, back, neutral and parking. There are two forward “modes”, though. The first is designated as “D” mode. This is a normal driving mode, and the car behaves pretty much exactly like any other automatic car. The second is “B” mode. In this mode, the car is set-up to give far more aggressive “engine” braking when slowing down. This has a number of effects. Firstly, as soon as you lift your right foot off the accelerator, you can really feel the car slowing down, much more so than in a regular car. That is the motor doing the braking, rather than the actual brake discs and pads. You would really only need to apply the mechanical brakes towards the end of the slowing down period, to bring the car to a stop. During this slowing down, the motor is regenerating energy (think dynamo), which goes back into the battery. This has the additional effect of reducing the demand on the mechanical braking systems, and so discs and pads should last much longer than on a regular car. All good, you might say. Well, another effect is that if you are slowing down under “engine” braking, the brakelights will not come on until you press the brake near the end of the maneuver. In traffic, this could potentially cause a problem for any cars driving behind you not realising that you are slowing down. You can easily switch between the modes as you drive along. Switching between D and B is done by pulling the selector to the right and backwards. When you let the selector go, it will return to its resting location automatically. What about “ECO” mode then? Regardless of whether you are driving in D or B mode, you can put the car in ECO mode by pressing a button on the steering wheel. This has the effect of dampening the accelerator response and lowering the power consumption of the heating and air conditioning systems. Driving the car in ECO mode makes the car feel sluggish, but it definitely does improve range. In my experience the improvement is the order of about 5-10%. Just be careful around town: I usually leave ECO mode off when driving out of junctions, as having it off just gives you that little bit more power to get in and out of junctions at an appropriate speed. Also, if you are merging with fast flowing traffic, having ECO turned off will allow you to get up to an appropriate speed to safely join the traffic flow. If you are in a position where it is safe to overtake, turning ECO mode off will give you plenty of power to safely make the move. Turning it on and off can easily be done while driving, as it’s just a button on the steering wheel. On earlier models of LEAF, the ECO mode was engaged by pulling the selector to the right and backwards, in the same way that B mode is engaged on newer models. ECO mode can be toggled on/off by pressing the ECO button on the steering wheel. The LEAF comes with a European-wide 3 year “bumper to bumper” warranty and a 5 year motor and battery warranty. I won’t go into specifics here, as things can change over time, so you should contact a Nissan dealer to get clarification on what is and isn’t covered. With the newer 30kWh version of the LEAF, the motor and battery warranty runs to 8 years. There are also mileage limitations, not just a time-based warranty, so double check with a dealer for up to date information on this. I was concerned about battery degradation when buying used, but the level of degradation can be easily checked. In my case, the battery had 94% of its original health. For a 3 year old car, this means it is losing about 2% per year. That’s hardly noticeable. If the battery degrades below a certain amount (Nissan don’t advertise this, but it’s thought to be 70%) while still under warranty, Nissan will replace the battery, according to anecdotal stories I’ve read online. To keep the warranty in place, you have to get the service booked stamped by completing regular services according to the schedule in the owner’s manual. The service itself ranges about €120-150 in cost, and is essentially a check-up for the car, as no oil/filter change is required. What else can go wrong that the warranty might cover? I have read about uneven tire wear on the rear passenger side. This can be caused by a tracking misalignment. It seems very random which LEAFs experience this and which don’t, but it appears to be a rare enough problem. A quick check by your local Nissan dealer will identify uneven wear if your car is affected. To remedy this, it seems that a replacement rear axle is required, which seems extreme. Apparently Nissan are aware of this occurring in some LEAFs, but have not yet publicly acknowledged it as a recall issue. There is no safety or driving issues with a LEAF that is affected, by all accounts, and it will still pass an NCT as long as the tire tread meets the required depth. The only downside is that the tire itself may wear down a bit quicker than you might like. Thanks to Wayne for sharing this with the EV community. See below Wayne’s blog where this text was originally published. ← 181 purchases : What offers can you get ?